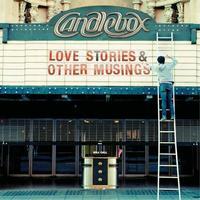 Candlebox are back with a killer album and some re-recorded bonus tracks to show they still have it and then some. For me the mellower cuts are what really make it, but the harder stuff delivers that same quality edge they always had. The two elements combined make this one of my picks for the summer of 2012. The whole thing is suited for the summer as well, with tracks like “Summertime” on the list in particular. By the end of the disc everything is near perfect, but if that isn't enough for the old Candlebox fans, they rip through five classics that all prove they still have that edge. The new cuts here just explore another side of the band, and that sensitive side is a welcome new approach. They still rock, but with a softer and more radio friendly approach to some of the songs. This band has lost nothing, only added positively to their well established craft. 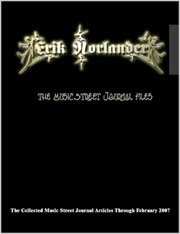 This review is available in book format (hardcover and paperback) in Music Street Journal: 2012 Volume 3 at lulu.com/strangesound. Within seconds it kicks in with that classic Candlebox sound, there’s no mistaking it. More noteworthy than that, the sound is almost overpowering it's so loud and clear. This basically goes a long way in establishing what's really going on with them now. It pulls no punches to say the least, a grand return fashion statement. There are really no other factors here besides that one hundred percent classic approach to everything. This is completely different, but just as good. There is more of a pop based sound here with a psychedelic touch that really helps it along. It’s more of an old fashioned song but it kind of has a modern effect on this band. This is a great tune, definitely. Although I do like the opener, which kicks hard, this is more up my alley, more contained. This is probably a mixture between the two previous tracks, to describe it in just the first few seconds. It's both classic and modern, and the lyrics even reflect that a bit. I find it to be equally as good as the first song but not as good as the second one. The guitar playing begins to pick up, though, and the singing must be mentioned as cutting through all the way. These are good Candlebox tunes, but good tunes in general as well. There is sort of a Beatles-like quality to them. A very hypnotic vibe leads this one into a great rocker with a killer vocal melody that is far better than anything on display in the vocal department to this point. In fact, the whole arrangement is cleverly mellow and almost pretty. I love this and don't see how anybody could not. Rarely do the vocals go anywhere near the top range like one expects from Candlebox, but I prefer this track. This easily contends for for my pick of the entire disc. This has a bouncy beat with a very laid back vocal, with a few ups and downs throughout, but basically stays well contained. This eventually works its way into becoming one of the better tracks on offer. Things are getting downright op perfect here. It’s a great mid tempo ballad, kind of where AOR and good grunge meet, only this even has a metal feel to it, bringing that Candlebox edge to it. More of a dirty groove carries this track, but once again in that classic vein. This features some killer bass work, in fact the best thing about it is the bass line. All in all it's kind of pedestrian in a techy industrial way. It’s not completely alien to their overall sound, though. But this is just more of a chant than the rest on offer thus far. It has the most edge that way, it just isn't that sharp. This is another one that doesn't hit hard like some of them do. It's more like “Summertime” in that way, but a much different thing altogether. This is a pleasant tune but not one that I would consider a featured track. I think this is a much better tune but still find it harder to describe than several of the other tracks at this point. Things get more poppy here. that is one thing that can be said about it. That isn't a bad thing, just perhaps a case of overkill. Either way, it's still a first class delivery, with some lovely piano textures. This is an improvement on the last few tracks, with a heartfelt vocal performance but not a whole lot more to add. It takes the album proper out really well, though. I certainly like it, and it goes well in making up for a couple of bumps in the road toward the end. This hasn't always been my favorite idea, but right away they somehow keep me entertained to the fact that it can work. I think they equaled the original here. I’m not sure if they pull off as good of a job here, but I still like this version. The hardest part of doing your own songs so many years later is dwelling in the vocal department. Like with the previous track he pulls it off. It might be that I'm just not as fond of it to begin with as “Far Behind.” Still, it's delivered just as well. The subject matter never appealed to me, that is all. This is one where it doesn't work quite as well for me, but I suppose being another of their well known classics, it had to be done. Perhaps it's the vocals not shining though this time, but that happens rarely on the whole disc. A nice revisiting here, this is probably the best of these bonus cuts for me. I'm glad they included this one more than any of the others. It’s a superb job! I like the tracks where they control themselves and hold back the most, and this is one of the harder ones to do that with, as it has it's ups and downs. It remains a favorite so it's nice to have an updated version. This isn't one of my favorite Candlebox tunes, but it does the original justice. That is hard to do no matter who attempts a cover. Even though the vocals are once again nearly over the top, it still charms as well as it menaces. Pure rock 'n roll always manages those two things somehow.